Six years after it was introduced, a facelift for the current Polo has been somewhat overdue. However, if you're expecting a revamped look you'll be disappointed, the revisions are best described as 'subtle' with new lines on the front bumper to give it a squarer look while at the back there are redesigned lights and a new bumper. On the plus side at least Volkswagen has avoided changing the looks just the for the sake of it. The current Polo is a neat looking small car and still looks fresh, so it's understandable that Volkswagen has decided not to mess with a successful formula. There are other touches such as the introduction of five new alloy wheel designs and new paint colours too. The improvements are more evident from behind the wheel. While the interior is essentially the same design, there are some key updates including redesigned instrument dials that are deeper set, a more modern steering wheel design and an overhaul of the centre stack. All models now come with a colour touchscreen as standard as well as DAB radio, Bluetooth plus USB and aux-in connections which is an impressive package. On the entry-level S model this is a five-inch screen but on SE and above it's a larger 6.5-inch high resolution display which is an evolution of the system found on the latest Golf that reacts to smartphone-esque swiping and pinching movements, useful if you have the optional £700 sat nav fitted. One new interesting feature being offered as an option is MirrorLink. This allows you to display and control your Android phone (provided it is compatible) on the screen, so you can even use apps through the car's system. The quality of the interior is as good as always with a high quality and strong feel throughout, from the weight of the clutch to the feel of the indicator stalk and electric window switches. Everything was a solid feel to it that reminds you this is a quality car. The interior design has been given a spruce up to give it more appeal with gloss black trim on all models. It helps lift what was a fairly drab and utilitarian cabin. 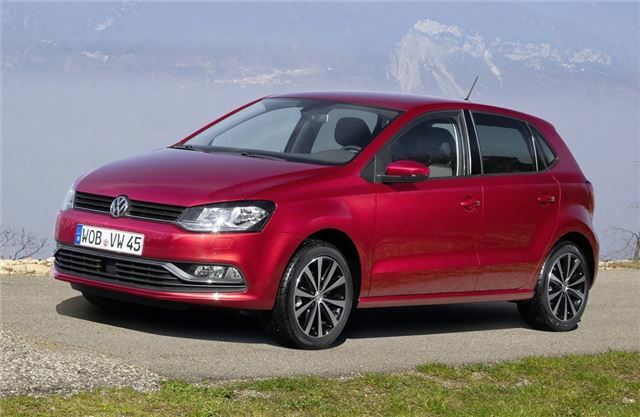 But the big changes for this Polo are under the skin. The engine range has been revamped with more economical and cheaper to run models. So out goes the old 1.2 petrol to be replaced by a 1.0-litre unit from the smaller Volkswagen Up. 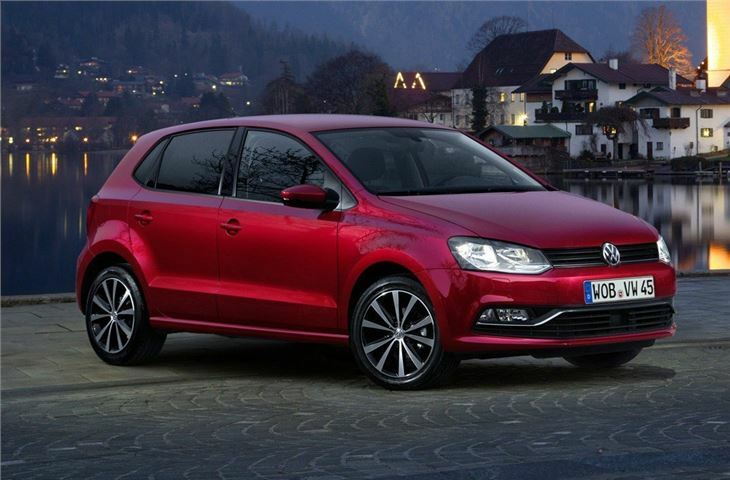 It's an engine that has received plenty of praise in the Up and it works well in the Polo too. Like the engine it replaces it's a three-cylinder engine but has more urgency low down and is quiet on the move helped by good sound insulation. There are two versions with the standard 60PS model set to be the most popular in the Polo range. There is a 75PS variant but in everyday driving you'd be hard pressed to notice the difference. Only when you really have to work it, such as joining fast flowing traffic from a short slip road, is the lack of power evident. 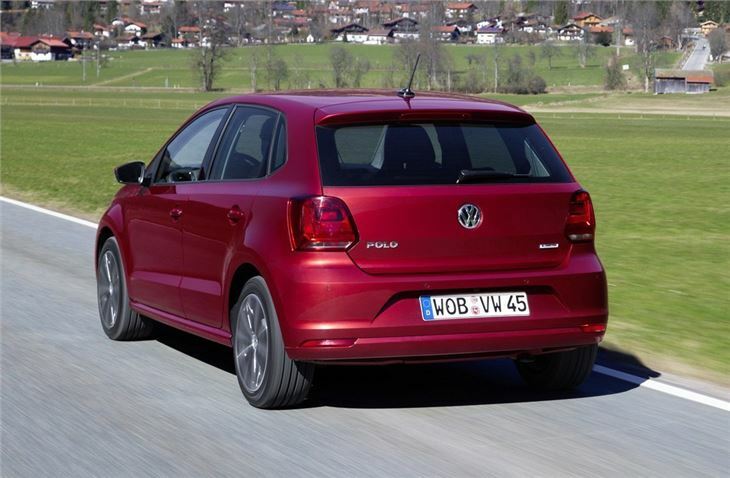 The majority of the time the 60PS engine feels perfect for the Polo although you do have to work the five-speed gearbox to get meaningful performance or if you have a full complement of passengers on board. Despite its smaller size, the new 1.0-litre is quicker from 0-62mph than the old 1.2 engine. It's also considerably more economical, according to the official figures, with a claimed 60.1mpg compared to 51.4mpg. Emissions are down too and at 106g/km meaning annual tax of just £20 - a saving of £90 a year over the 1.2. In fact no Polo now emits more than 110g/km meaning low running costs. 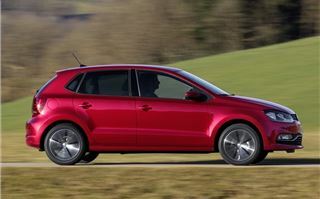 The 1.2 TSI is still available but the range has been tweaked so there are now two models - one with 90PS and a more powerful 110PS, both available with a seven-speed DSG automatic, although given the problems we've heard of surrounding these gearboxes we'd suggest sticking to the manual unless you really must have an automatic. 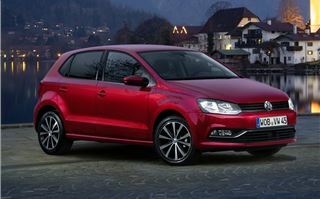 The other engine is a 1.4 TDI, again available in two versions, one with 75PS and a 90PS model. At the end of 2014 we'll see two BlueMotion models launched, one with a 1.4 TDI engine and the other powered by a 1.0-litre three-cylinder TSI engine with 90PS. This averages a claimed 68.9mpg with CO2 of just 94g/km. A revised Polo GTI is also due before the end of the year and it will come with a manual gearbox alongside the DSG that was previously the sole gearbox. 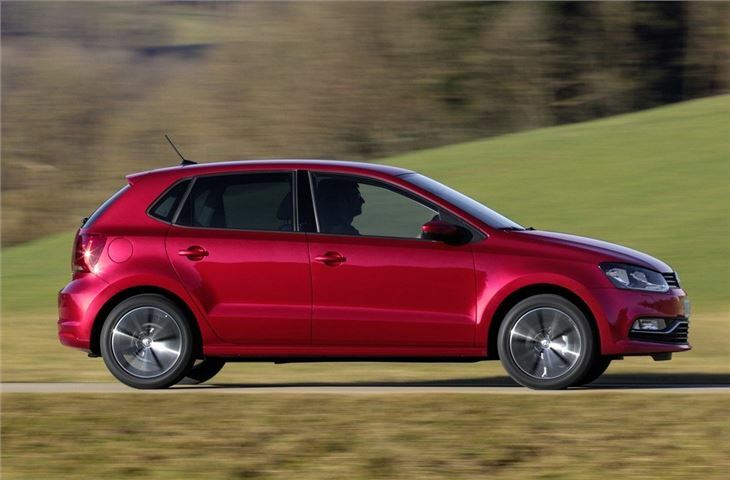 Driving the revised Polo is as relaxed and effortless as ever. We've previously described it as the 'baby Golf' and it certainly feels like a bigger car in terms of refinement and ride quality, yet is still small and nimble when dealing with town traffic and tight parking spaces. 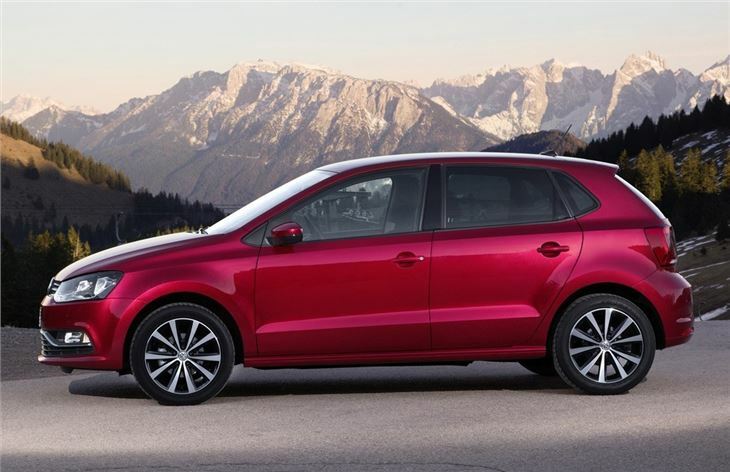 It gets a new electro-mechanical steering system that's designed to improve efficiency and offer more precise control and you notice it through corners where the Polo feels more composed than previously. It's a reassuring drive and is also available with some advanced safety kit such as the Front Assist and City Emergency Braking that's part of the £500 Adaptive Cruise Control option. This will automatically perform an emergency stop at below 20mph if it detects a collision is imminent and the driver does not react or press the brake pedal hard enough. The new Polo is available to order now and the first UK deliveries are due in July with prices starting at £11,100, an increase of £330, although it has far more standard equipment. 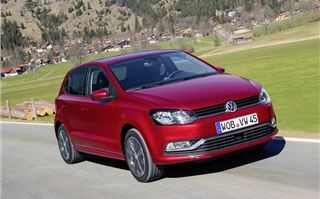 Volkswagen has tweaked what was an already successul formula and the improvements to the cabin are very welcome. 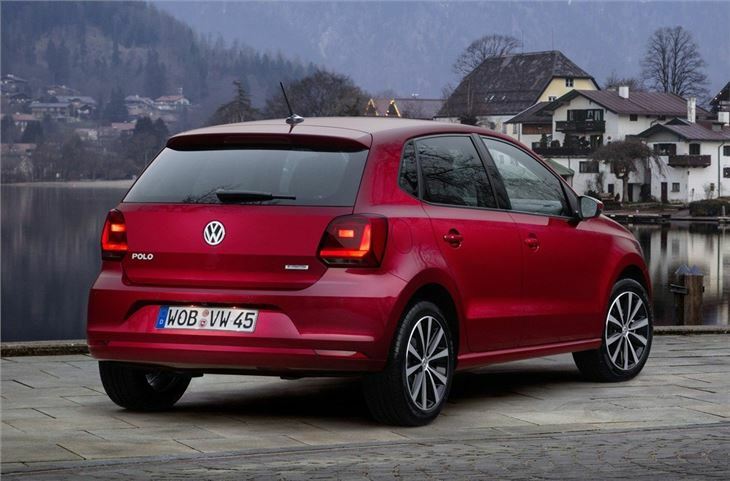 But it's the changes to the engines that really add to the appeal of the Polo and with lower running costs but the same high quality feel, the Polo is better than ever.